The Blunt Bean Counter: Should You Transfer Your Sole Proprietorship into a Corporation? Should You Transfer Your Sole Proprietorship into a Corporation? or not to incorporate. Today’s post discusses the income tax and business issues you must consider before deciding to move from a sole proprietorship to a corporate structure. As a business grows, sales tend to become larger and the consulting engagements more complex. Consequently, the risk of a product flaw or error becomes greater. As a proprietor, any legal action taken against your business places all your personal assets at risk, including your home (if it is in your name and not your spouses). Therefore, the decision to incorporate often makes sense just to ensure your personal assets are protected. Until you incorporate, it is vital to ensure you maintain adequate business insurance and minimize the assets held in your own name. As a proprietor, you must report your business income on your personal income tax return. As such, your profits are taxed at your marginal income tax rate. If you require all your business profits to fund your lifestyle; it does not make sense to incorporate your business (subject to other issues I will discuss below). 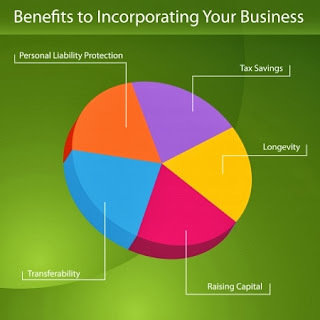 However, if your business has become profitable enough that you do not need all the income generated, incorporation begins to make some sense as a tax deferral mechanism. For example: In Ontario, the first $500,000 of active business income is taxed at only 15.5%. If you need $80,000 to live on and can leave the rest of the money in the corporation, you would defer at minimum 20% in income tax by utilizing a corporation (The marginal rate of income tax in the $80k range is approximately 35.5% vs. 15.5% corporate rate). If you are in the highest Ontario personal marginal rate you could be deferring upwards of 34%. By the way, active business income means what it sounds like: running a real business - manufacturing, wholesale, consulting, etc. 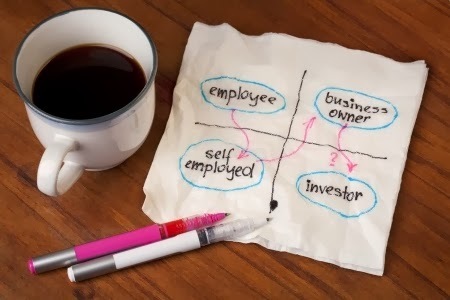 A passive business earns income from stocks, rental properties, etc. One of the main advantages of incorporating is potentially being able to access the capital gains exemption for qualified small business corporation shares. The exemption is currently $750,000 per shareholder, but is scheduled to rise to $800,000 beginning January 1, 2014. Based on the 2014 exemption, a husband and wife who are 50/50 shareholders could sell their business for $1,600,000 and not pay any income tax, subject to the criteria discussed below. If you think your company may be worth millions in the future, you may even want to consider utilizing a family trust that would provide an exemption of $800,000 for every family member you include in the trust. The criteria to determine whether shares qualify for the capital gains exemption are very complicated. The rules look back at the last twenty-four months prior to a sale and at the company on the date of the sale. In addition, the more successful you are, the harder it is to qualify. If you have excess cash and investments in the company you may fall offside the rules. I will discuss these confusing and complicated rules in a separate blog post in the future; but keep in mind, tax planning is imperative to ensure you qualify for the capital gains exemption. Income splitting opportunities for a corporation are often over-estimated. However, if you include your spouse as an owner, there may be significant income splitting benefits through the use of dividends. Dividends may be based on pure ownership (i.e. : Mr. A and Mrs. A each own 50%, so they each get 50% of any dividend paid) or you may be able to structure the corporation with discretionary shares that allow the dividends to be paid in any proportion to either Mr. A or Mrs. A (i.e. : 100% of the dividends are paid to Mrs. A and none to Mr. A). This type of structuring is complex and again you need to ensure you get proper tax and legal advice before utilizing a discretionary share structure. How Do I Go from a Sole Proprietorship to a Corporation? There are specific rollover provisions contained in Section 85 of the Income Tax Act that allow for you to transfer your sole proprietorship to a corporation on a tax-free basis. Shares of the corporation must be received on the transfer. The rollover is undertaken by filing Form T2057. Although this is a standard transfer provision, it is fraught with landmines. The combined legal and accounting fees to undertake this transaction can range from $5,000 to $10,000 depending upon the complexity of the transfer. As such, many people decide to forgo this step, especially when they consider their main proprietorship asset to be personal goodwill (you are the business and without you, it is worthless) as opposed to business goodwill (the portion of the business value that cannot be attributed to business assets such as inventory and equipment. i.e. The value of your business name, customer list, intellectual property etc). However, if you ignore filing Form T2057, you do so at your own risk. This is because when you transfer your assets and goodwill from your proprietorship to a corporation, you are deemed to have sold or disposed of these assets at their fair market value. In order to avoid this deemed sale and to ensure you do not create any income or capital gains upon the transfer of these assets, I always suggest filing the tax-free rollover under Section 85. As noted above, I have had clients argue they have no business goodwill and that all their goodwill is personal in nature. While in some cases there may be some validity to this argument, I think it is penny wise and pound foolish to take the risk that the CRA will deem a large gain on the transfer of your proprietorship goodwill when you can just make the election and eliminate that concern. Once you have decided to rollover your goodwill to the corporation, it needs to be valued for purposes of the T2057 form, which can be a costly exercise. While not recommended, if you will be issued all the shares of the corporation, accountants may accept a client’s estimate of their goodwill for purposes of the election if it is reasonable and supportable. However, where other family members will become shareholders, a professional valuation is required. For example, if John transfers his proprietorship to a corporation and a valuator determines his shares are worth $500,000, John must be issued special shares worth $500,000 to ensure he has not conferred a benefit on his spouse or children. Once the special shares are issued to John, his spouse, family and/or trust subscribe for new common shares at $1. It is important to note that I am glossing over several complex attribution rules here and you should not consider including any family member in the new corporation until you obtain proper income tax and legal advice. It is crucial to understand the ramifications of either decision and whether dividends must be paid to you in order to avoid the attribution rules. The cost of maintaining an incorporated company is far more expensive than operating a proprietorship. You must file financial statements with the CRA and the corporate income tax returns are complicated. You require annual legal resolutions and the administration is far more costly. Thus, I would not recommend the use of a corporation (subject to the other factors such as creditor proofing and the capital gains exemption discussed above) unless you could leave approximately $50,000 at minimum, but more like $75,000 of taxable income in the corporation after any salary you require. Proprietors sometimes have difficulty separating their corporate funds from their personal funds as they are used to taking draws and simply paying tax on their business income. The corporate structure is more formal and personal drawings must be paid in the form of salary with income tax withheld and/or dividends. Both require filing of government forms (T4/T5). 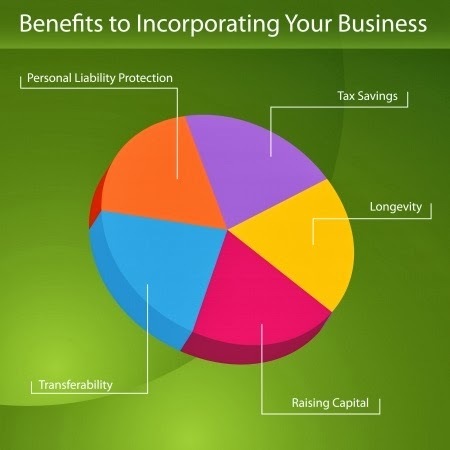 The income tax benefits of a corporation can be significant. However, the transfer of a proprietorship to a corporation is very complex, especially when introducing family members as shareholders. It is thus vital that you engage an accountant and a lawyer to explain all the income tax issues to you before undertaking the transfer. Thanks for another relevant article ! I have an incorporated business and will have retained earning for this year. Can I buy gold/silver coins (instead of cash) and keep it as retained earning under corporation ? Of course my main business is service consulting and has nothing to do with precious metals, and I intend to do this for 10% of retained earning . Great post, as usual. Mention should also be made that if you incorporate, you can set up a personal pension plan and over time double the amount of money that you can tax-shelter for retirement purposes above and beyond what RRSPs allow. Without the T4 income and the employment relationship created by the incorporation, such a personal pension plan remains unattainable. Yes, if you incorporate, you have the ability to use an IPP, but I consider it a possible benefit of incorporation, not a reason to incorporate. You've confirmed my thoughts and more Mark, not incorporating my blog anytime soon. If and when I ever can pull in >$25k on the site, I will consider it but I'm a long distance away from that for now. omit it if it's not on the statements?? No you cannot ignore goodwill if not on F/S. Most goodwill is not on the F/S. Ensure you get professional advice when doing this, it is full of minefields. Thank you Mark! Let me ask one more q. If I transfer not all the business assets (most but not all), can I omit goodwill in that case? I cant answer that, it depends, probably not. As I said, u need to get professional advice. I dont know the HST answer off the top of my head, I dont deal with HST that much. You can claim business related expenses related to a personal car. Speak to your accountant whether you should charge the standard CRA mileage to the company or another alternative. No confusion about Goodwill. Whatever Revenue Canada official you are dealing with says is final. If I wanted to "hold" a company name with the idea that I might form a corporation with others, could I register a sole proprietorship, have no activity, and then easily convert to a corporation with future partners involved? I was wondering if it is cheaper to get liability insurance for a corporation when compared to a sole proprietorship. Not sure, I never really looked at the issue. I would think they would be similar in pricing, but you would have to confirm that with an insurance agent. Could you comment on the agreed amount. It becomes the proceeds of disposition for the sole proprietor. Can the sole proprietor attribute cost to the client list and have the best of both worlds, no gain on the disposition of the client list and the ability to take out no-share consideration? My brothers incorporated their farm, disposed of land to the corporation and they think they got a big advantage. (I am not their accountant.) I would like to dispose of my client list to my corporation and take a note payable for the accumulated costs of operations I have had in the last year. The rest of the FMV in will take in shares. Sorry, i do not provide personal tax planning advice on this blog. I will note however, that in general, unless you transfer assets with a hard cost base, you cannot transfer tax free and take out non share consideration. Great post - thanks for the advice. I have a sole proprietorship and recently received a BDC loan. 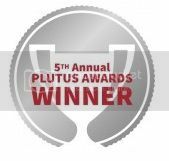 I am considering opening a corporation in order to be able to apply for the many government grants that are applicable to my business. Would I need to transfer that loan over and close my sole proprietorship? If so, how will that work? I am a salaried employee and have business registered as sole proprietor. I am in the process of starting this new business of importing garments to retail online under this sole proprietorship. I have 20K worth of merchandise that I would be transferring to this business and perhaps 40K in liquid for initial setup and operations. How would this 60K be accounted for when at the time of tax filing? If at the end of the year I have 15K worth of merchandise still in stock and had sale (not profit) of 10K ... my overall balance sheet including my salary and income from business might look like 60K(From Salary) + 10K (Sale from business) - 5K (Merchandise that got sold) - 30K (Setup Expenses such as website setup cost, monthly website charges, travel expenses for obtaining merchandise as hand carried goods, home-office use for stocking merchandise and fulfilling orders ..etc...). So with above numbers .... the amount of 60K that I transferred into business ...is that counted as loss for the year? Also ...the website setup costs and this initial stock of 20K would be there from before I officially started my business activities ...so what do I need to show to CRA to prove that the money spent for all of this and be counted towards reduction in my income for the year and the year before? I don't have a separate Business Name ...but the business is registered under my own name. So in the past all such expenses were paid from my personal account ....does that matter ...can I still claim all that as expense towards my business ..even though I didn't claim that in last 2 years ...ever since I started working on putting things together in terms of website and getting stock from other countries. I am sorry, but I dont provide specific tax planning advice. However, in general, when you transfer assets that were owned personally, they are typically treated as a capital contribution or in the case of an incorporated business, a shareholder loan and not a loss. Very useful information. I have a quick question. If a sole proprietorship owns 200k in assets and wants to transfer all those assets to a corporation where the original sole proprietor is the lone shareholder (owns 100% of company), does PST need to be paid by the corporation when attaining the assets from the sole proprietor ? Sorry, I don't answer PST questions, that is not my area of expertise. You've written a very persuasive article, and it has led me to more insights on my situation. If as a sole prop. I've made 6 figures in this calendar year (my second) would it be wise to incorporate? Also, can i think transfer the funds to the incorporation to pay appropriate inc. tax instead? The idea is to save on income, while still ensuring the Man gets some. I do not provide tax planning on this blog. Even if I wanted to, I would need way more facts. You need to engage an accountant to help you make this decision based on your specific facts. Based on your income to date, it is definitely worth at least considering. 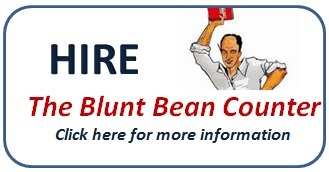 If you are in the Toronto area email me at bluntbeancounter@gmail.com and maybe I can assist you. What if it is too late to incorporate proprietorship. Our sole proprietorship was sold a month ago and we now are trying to calculate income tax on the sale. Is capital gains tax payable on the goodwill and the assets sold? Also can any of the capital gains be deferred. Yes there will be tax on the goodwill and assets sold. You should speak to your/an accountant who can review your situation and see if any planning can be done and how much tax will be owing. Hi Mark, I've recently went through the the process of incorporating a sole prop. Trying to decide if its better to write down some property or pursue a rollover. The property consists of some home office furniture and a computer. What are you thoughts? What's easiest. Maybe its time for some new furniture? I don't provide tax planning advice on this blog. That said, as noted above, the rollover is done in large part to ensure there is no deemed disposition of goodwill. If you have determiend it not necessary to do the rollover to protect against any deemed disposition on the goodwill and only have minimal equipment some accountants might suggest not to do the rollover for only the small amount of equipment. Hi ! I just recently registered my business as a sole proprietorship. I was wondering though, if I decide to incorporate my company, am I going to have to change my company name ?? Or am I able to transfer it over when I convert ? I'm kind of worried because I'm decided on keeping my business name and potentially apply for a trade name (DBA, O/A) . This is a legal issue and unfortunately not up my alley. My understanding as a lay person is that if you incorporate, you can lose the name if it is already registered by someone else. However, you should see a lawyer or paralegal to get a definitive answer to determine your risk in losing the name upon incorporation and then u can make an informed decision. Hello, Thank you for such a well written and informative article. I'm about to commute my OMERS pension, and I also run a small business on the side. Before I commute could I incorporate my business, and then when it's time to commute transfer the commuted value into a LIRA, thereby deferring the tax? Is this is possible, or even worth it? It seems like a way to let these assets grow a bit longer while deferring the tax bite. Thank you.